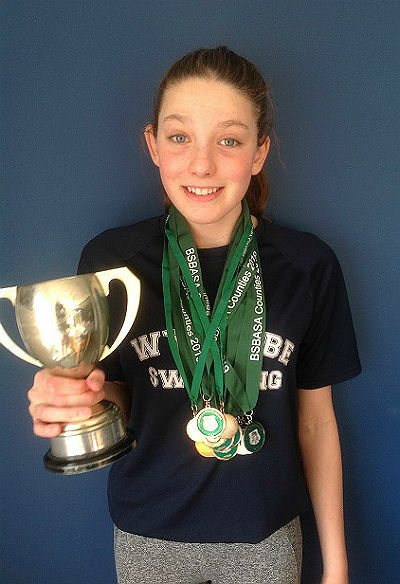 After last year’s success, a further haul of medals have been won by GMS’s Rebecca Hayward at the County Swimming Championships held recently. Rebecca’s success at this competitive sport is truly one to celebrate by the whole school, because it is an incredible swimming achievement. 50 Backstroke – Wow what a race, she came 4th, with only 0.36 seconds between first place and 4th Needless to say, GMS is proud of her brilliant successes and wish her well in the next round of competitions.